Remember my guest bedroom? I loved decorating that room. The combination of coral and gray remains one of my all time favorites. So it’s easy to see why this bathroom pictured at Martha Stewart Online stopped me in my tracks. 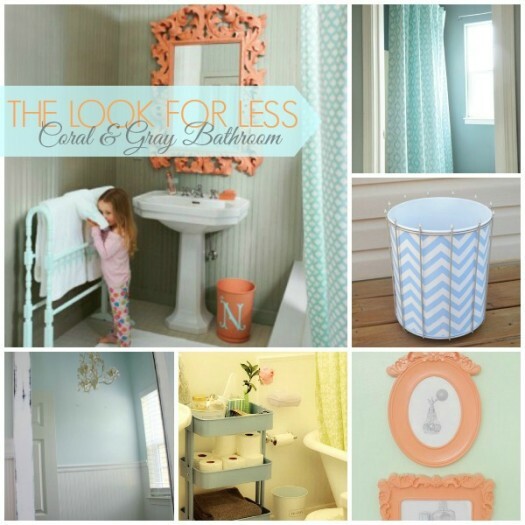 It’s a palette of gray, coral, and just a hint of blue–a match made in heaven with my guest room!